If passed, Senate Bills 511 and 512 will allow first-time homebuyers in Michigan to save for their next home purchase on a tax-advantaged basis. 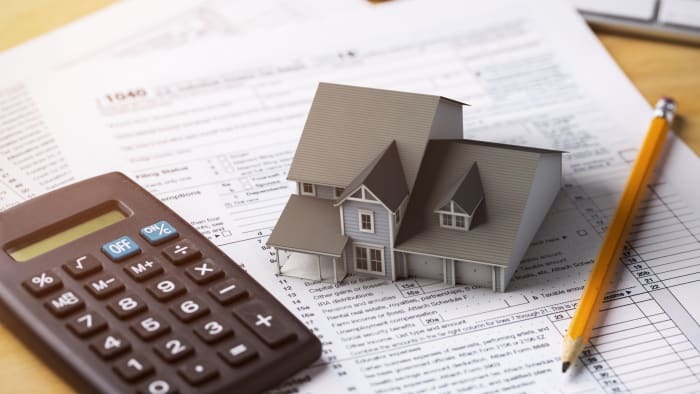 Account holders will be able to claim state deductions on their tax returns and apply those savings toward the down payment and closing costs of a single-family home. On December 21st, Governor Rick Snyder vetoed Senate Bills 511 and 512, which together create the Michigan first-time homebuyer savings program. The bills were remanded to the House and Senate for further consideration. The bills have been tabled for the time being, pending future legislative action. If the legislature overrides the executive veto, the bill could go into effect later in 2019. Michigan residents will then be able to claim "first-time homebuyer savings accounts" on their state tax returns. These are savings accounts which allow for tax-deductible contributions and withdrawals meant for the purchase of a new home. Sens. Peter MacGregor, R-Rockford, and Ken Horn, R-Frankenmuth, first introduced this measure in July 2017. Since then, the bill has undergone review from the Michigan Legislative Committee on Finance as well as the Committees of the Whole and the Committee on Tax Policy, with favorable reports from each. How Does the Michigan First-Time Home Buyer Savings Program Work? When purchased, the home must be owned and occupied by the beneficiary of the account. There can only be one qualified beneficiary on the account at a time. The beneficiary need not be the account holder, and there are no restrictions on who can contribute funds. The maximum account balance is $50,000 but interest earnings will not count toward the limit. Contributions eligible for the deduction within a given tax year shall not exceed $5,000 for individuals and $10,000 for joint filers, net of any qualifying withdrawals. On an annual basis, account holders must submit a Form 1099 and list of transactions to/from the account. Upon withdrawal from the account, account holders must submit a detailed list of the costs the funds were applied to as well as a statement of any remaining funds. Eligible costs under the program include the down payment and allowable closings costs on an eligible home. Eligible home purchases include manufactured homes, trailers, mobile homes, condos and co-ops, in addition to stand-alone homes and townhouses. The property must be owned and occupied as the principal residence of the beneficiary. First-time homebuyer is defined as any Michigan resident who has not owned or purchased a single-family residence within the past 3 years, either on a joint or individual basis. Prospective homebuyers should carefully manage their finances to avoid withdrawals for purposes unrelated to the closing costs or down payment on a home. The Michigan Department of Treasury will levy a 10% tax penalty on each noneligible withdrawal (certain exceptions include the death or bankruptcy of the beneficiary, as well as transfers to new beneficiaries). How Will First-Time Homebuyer Savings Accounts Affect Michigan Residents? While almost all first-time homebuyers across Michigan may stand to benefit from this bill, it could be especially beneficial to fast-growing locales like Ann Arbor and Dearborn. Increases in home values within these communities have largely outpaced income growth, compounding the lack of affordable housing for both millennial and Generation Z homebuyers in Michigan. We've provided a breakdown of how much housing and income have grown over the past five years. Although the statewide figures show that changes in income have largely kept up with changes in home values, a city-by-city analysis reveals that certain areas face a significant mismatch between income growth and rising home values. Some of the largest discrepancies are shown in Detroit, Ann Arbor, Traverse City and Marquette, where home prices outpaced income growth by 9% or more, even after accounting for inflation. Recognizing that declining home prices are a net positive for homebuyers, the data above does not account for factors like unemployment or delinquency rates. Some of the areas above may face other complications which might prevent or discourage residents from purchasing homes. A recent study showed that Michigan Residents ranked 36th in the nation in terms of savings health; just 76% of Michigan households own a savings account, while only 58% have retirement savings, making it difficult for homebuyers to afford the down payment on a home. In fact, population growth in Michigan increased by an anemic 0.3% in 2017, less than half the national growth rate of 0.7%, according to an article from the Detroit Free Press. This sluggish growth rate has largely been impacted by high employment in certain areas, exacerbated by recent layoffs. In a recent study, residents of Flint, Michigan, were even rated among the highest risks for mortgage default among major metropolitan areas in the Midwest. The creation of these first-time homebuyer savings accounts could be a step in the right direction, making it easier for Michigan Residents to keep a larger portion of their paychecks, and potentially increasing the number of homeowners in Michigan. According to the Michigan State Legislature, first-time home buyer accounted for 34% of all home purchases at the national level in 2017. The tax benefits from these accounts could potentially arrest the state’s declining tax base, and incentivize new home ownership in Michigan.